The next generation of games consoles is just over a month away, with both the Xbox One and the Playstation 4 hitting shelves in November. But for current-generation gamers, the arrival of new consoles will bring other advantages, in the form of improved performance for games on the current generation hardware. 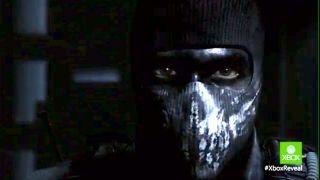 Derek Racca, a Senior Producer at Raven Software - the support studio to Call of Duty: Ghosts developers Infinity Ward - explained to TechRadar in an interview how next gen has pushed performance for the current console selection. "Basically, our engine will scale to provide the best look for each platform," Racca explained. "There's no current-gen engine or next-gen engine, it's just 'the engine" and basically we create something, an asset that's just 'shoot-for-the-moon crazy high-res', and then the engine determines the best way to show that on each generation." Because the engine is doing the heavy lifting in determining the visual output from high-resolution files, the end result is a massive improvement in performance for the Xbox 360 and PS3 versions of the game. Of course, with a Call of Duty game launching every year, complete with incremental visual upgrades, it stands to reason that even without next-gen launching, we would have seen some improvements. But Racca believes that the arrival of next gen facilitated the need to rework the game engine, which allowed for a bigger improvement. "Sure, we would have done stuff to improve [the game], but I don't know if we would have gone this route because of the console transition," he said. "We may have, but we are always trying to improve how the game looks." Next-gen gaming begins soon! Read our Xbox One and Playstation 4 hands-ons to get prepared!